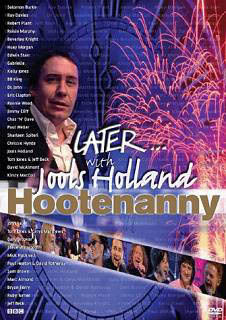 Bryan Ferry's recording of Let's Stick Together broadcast on Jools Holland Hootenanny 30th December 1999 is featured on this various artists DVD. He also performed 'Where Or When' & 'Love Is The Drug' the same evening. He closed the show joining Van Morrison & Lonnie Donegan for a version of 'Midnight Special'. This footage was broadcast but has not been released on DVD This DVD encapsulates classic performances from some of the legendary musicians to join Jools and his Big Band on stage as they welcome the New Year in. Jools Holland guides us through 32 captivating performances from a variety of musical greats.